Danielle Cain’s best friend has suddenly, and without explanation, killed himself. She’s distraught, and she wants answers. She travels to her friend’s last known whereabouts: Freedom, Iowa, to discover a commune of individuals like herself: free spirits, artists, outcasts, punks… and spell casters? It appears the residents of Freedom have summoned an otherworldly being, a red deer with three antlers, to protect their home, but now it’s turned upon them, with deadly consequences. Magic is real, people are in danger, and somewhere in all of this may lie the answers to Danielle’s questions about her friend’s suicide. 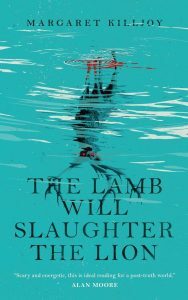 23 girls have disappeared from Sawkill Rock when Marion moves to the island with her mother and beautiful sister. 23 girls, and no one has any idea what happened to Zoey’s best friend Thora. 23 girls, and Val is hiding a nasty secret that could tear her apart from the inside out. This young adult horror story follows three girls as they discover the terrifying secrets that are hidden on their island and if there is truth to Sawkill’s whispered ghost stories. Sawkill Girls is a great book for those who want a dark, creepy read without the threat of nightmares afterward. Legrand merges the horror and fantasy genres seamlessly to create a story that is absolutely mesmerizing from beginning to end. The story twists from average high school drama, to a complete nightmare, and then back again in a mesmerizing way. She pushes you to the brink of terror and then pulls you back before it becomes too much to handle. Marion, Zoey and Val are three imperfect, sometimes unlikable, characters that portray strength and ferocity in the face of loss and terror. 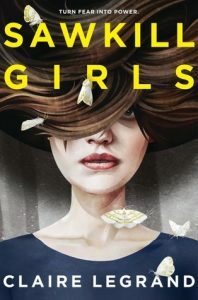 The idea that strong female friendships can conquer even the most disturbing events is present throughout and creates a fierce girl power message that elevates the book from a good horror story to an inspiring and timely novel. The Locke family are keepers of magic keys that can do amazing things. 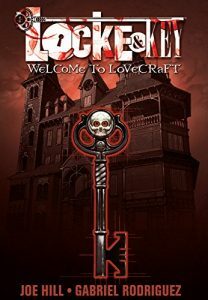 The keys are kept safe in the Locke ancestral home of Keyhouse, by a rule that only innocent children can discover their magic, and forget it once they become corruptible adults. A malevolent creature called Dodge seeks the keys for nefarious purposes and the only thing standing between Dodge and those evil machinations are the current Locke children: teenagers Tyler and Kinsey, and their younger sibling Bode. Are you a fan of the Alien and Outbreak movies? If so, then this first of two books is for you. 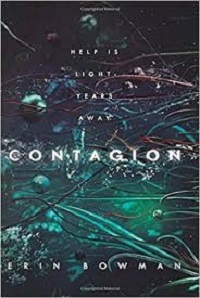 In this science fiction/ thriller/ horror novel, an ordinary search and rescue mission on a hostile planet turns into a fight for survival for two teen girls. Althea, a microbiology intern, and Nova, a pilot, are sent with a rescue group to respond to a distress signal received from a drilling base on Achlys. When they arrive they find a disturbing video and a cryptic note left by a dead engineer, leading them on a search for survivors and answers to what happened to the inhabitants. They soon learn that something was lurking below the surface and experience first-hand what went wrong on this fringe planet. Find it in the catalog.